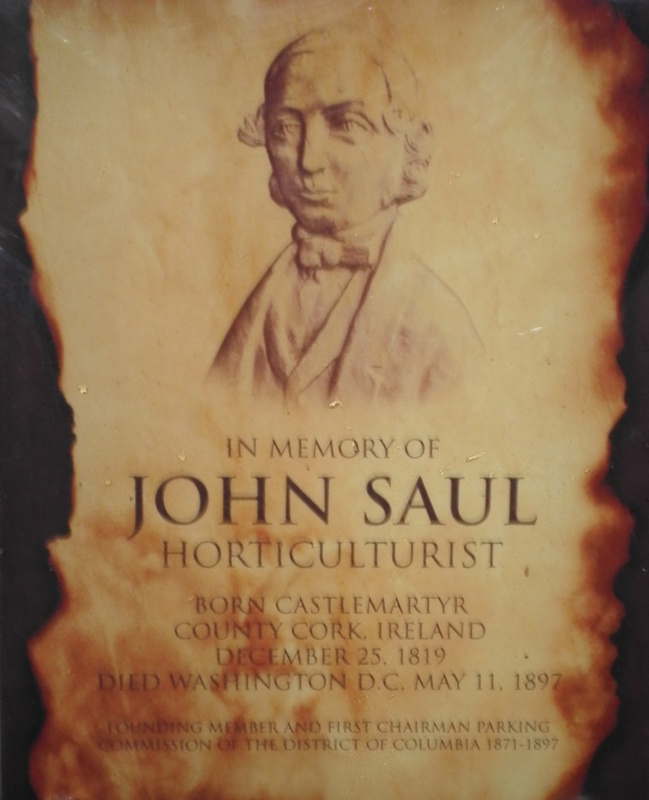 From Castlemartyr to the White House : John Saul, horticulturist. 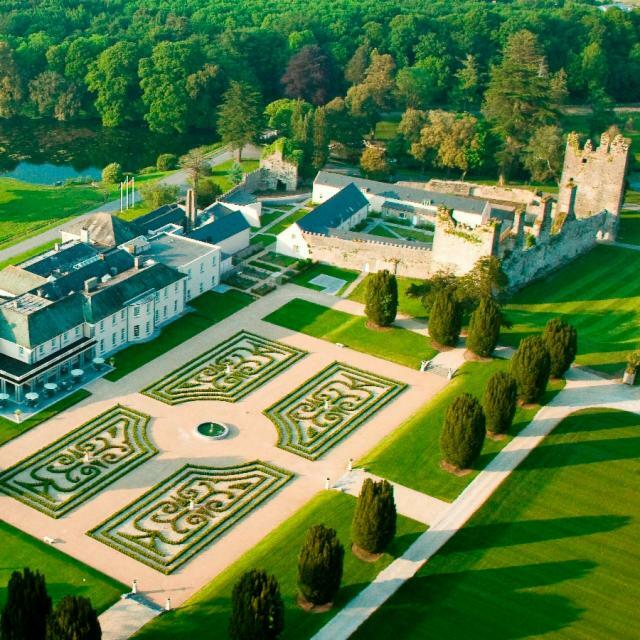 Castlemartyr House is now a hotel. Here we see the old Fitzgerald castle on the right, the Boyle house on the left and the parterre on the south side of the house. One of the treasures of the Hunt Museum in Limerick is a late seventeenth century silver gilt pyx or box to contain the consecrated communion wafer (HCM 125). 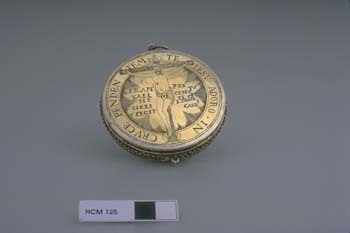 This pyx was once employed by a priest to convey the sacrament to a sick or dying person. Many seventeenth and eighteenth century Irish pyxes are anonymous – we often do not know for whom they were made, or even who made them. The Cashel pyx, apart from its depiction of the crucifixion, has three inscriptions in Latin.Two of the inscriptions are of interest to us here, for they identify the person who commissioned it: FR. AN. SALL. ME FIERI FECIT and PRO CONVTU. STI. FRANCI. CASSI. These really make up one long inscription: Frater Antonius Sall me fieri fecit, pro conventu sancti Franciscus Cassilensis which means Friar Anthony Sall had me made for the convent of St Francis in Cashel. Anthony Sall was the Guardian (prior) of the Franciscan community in Nenagh during the 1670s, but he was almost certainly connected to the Sall (pronounced ‘saul’) family of Cashel for he commissioned the pyx for the Franciscans there. The Salls were an old Anglo-Norman family who had settled in County Tipperary, originally called de Salle or de la Sale. What I never realized when I was in Limerick is that the Sall family of Cashel had connections to East Cork. The 1766 religious census of Ireland (commissioned by the Irish House of Lords) recorded five different Sall families in Cashel, each headed by a John Sall, which must have confused matters. One of these men (it is not known which) was actually the father of a Barnabas Sall. Barnabas moved to East Cork where he worked as a gardener for Richard Boyle, the 2nd Earl of Shannon, and his son, Henry, 4th Earl, on the Castlemartyr Demense, which was so admired by Arthur Young on his tour of Ireland in 1776-1779. Barnabas lived until 1821. Barnabas had a son, James, who married a Mary Hennessy and in 1819 they had a son, John Hennessy Sall, or Saul as the family began to write the name. Like his father Barnabas, James also worked for Lord Shannon as a gardener, but at Carewswood (or Careyswood as some have written it). Carewswood is a smaller house between Castlemartyr and Ladysbridge which served as a dower house for Catherine, Dowager Countess of Shannon at the time John Saul was born. 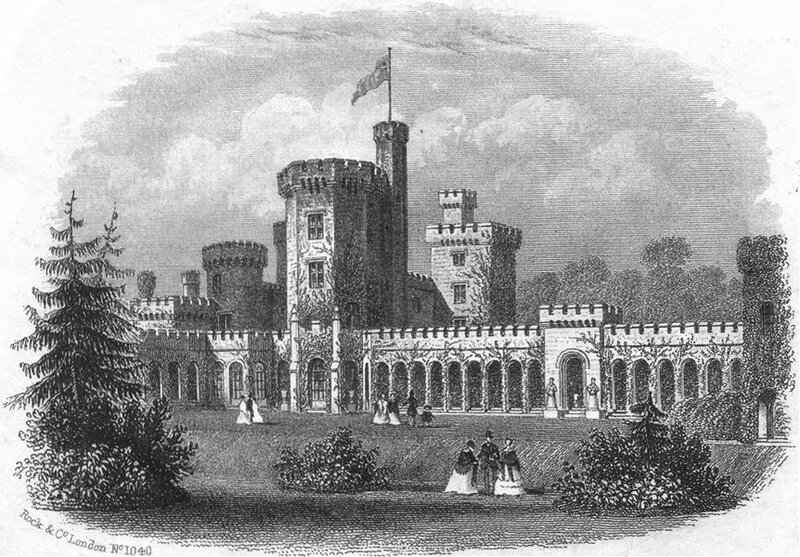 East Cowes Castle was bought by the Earl of Shannon after the death of the architect John Nash in 1835. Nash is most famous for designing Buckingham Palace. However, James and his family didn’t stay in Carewswood forever. Henry, 3rd Earl of Shannon, had bought East Cowes Castle, on the Isle of Wight. This was the home of the celebrated architect John Nash who designed Buckingham Palace and Regent Street in London. Nash died in 1835 and his property was sold to settle his debts. James Sall and his family were invited to move to the Isle of Wight to care for the gardens there. Thus John Saul learned his horticulture first in Castlemartyr under his grandfather, and at Carewswood in East Cork and East Cowes on the Isle of Wight under his father This training must have been very good because, in 1841, following a few years in East Cowes, John Saul moved on to care for the gardens at Llantarnam Abbey, a country house in Wales. In 1843 John joined the Durdham Down Nurseries – within a year, he was the manager of the nurseries. John’s brother, James, had emigrated to the United States in 1849, and John followed in 1851. Meeting up in Philadelphia, the brothers moved to New York to work for Andrew Jackson Downing at the Newburgh Nurseries. 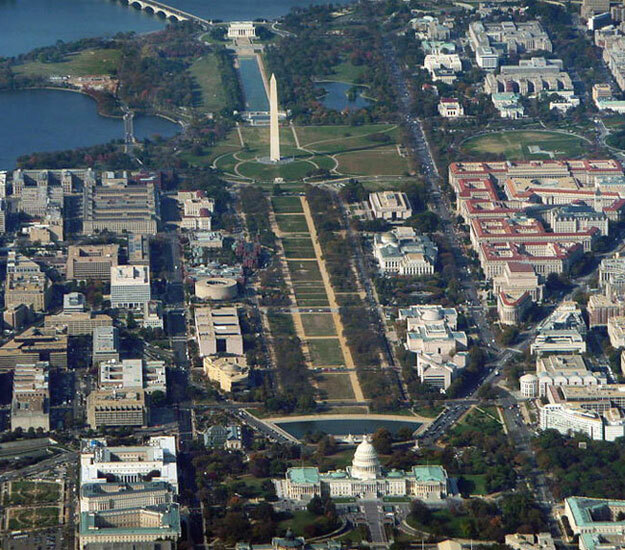 Through Downing’s contacts, John Saul was invited to Washington DC, then more of a development site than a real city. 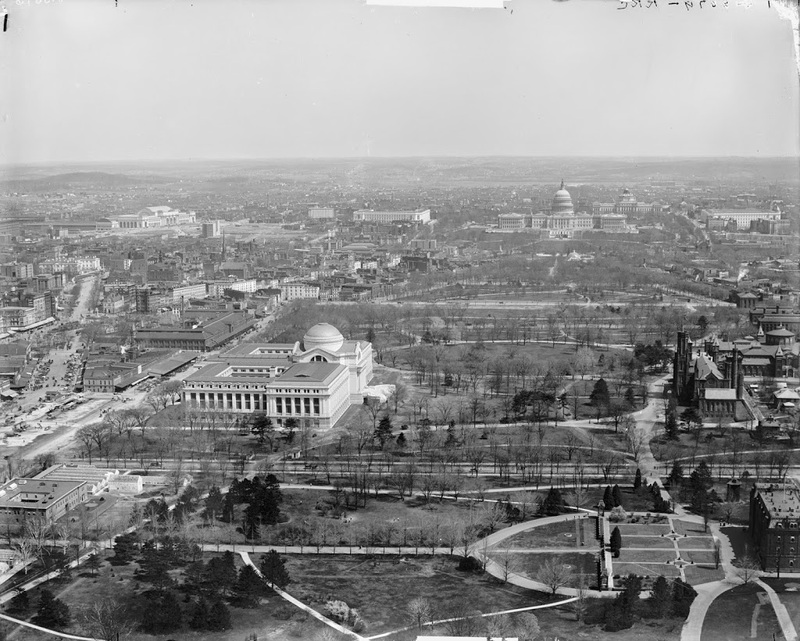 Until 1853, Saul worked with William Dunlop Brackenridge at improving the National Mall, Lafayette Square, the Smithsonian Museum grounds and the gardens of the White House. Whilst doing all this, John Saul started a seed business and was eventually to found his own nursery in 1854. The same year he was appointed the first chairman of the Washington DC Parks Commission – the forerunner of the current Parks and Planning Commission. John Saul lived out his life in the US capital where he died in 1897 after a very fulfilled life in Ireland, England, Wales and the United States. His son, Bernard F Saul, later founded Washington DC’s first mortgage bank, BF Saul Company. The National Mall in Washington DC at the end of the nineteenth century. The Capitol is in the distance. This was the Mall that John Saul was familiar with. Barnabas Sall and his son James, father of John Saul, are both buried in Ballyoughtera graveyard, which was formerly contained within the demesne of Castlemartyr House. Appropriately, Carewswood House is now a garden center. The Macmillan Commission proposed a total redesign of the planting scheme of the National Mall in 1901. The proposal was mostly carried out up to the 1930s. Three years ago, the community in Castlemartyr decided to celebrate John Saul’s life and achievements with an annual John Saul Picnic in the grounds of the Castlemartyr Resort Hotel, formerly the residence of the Earls of Shannon. 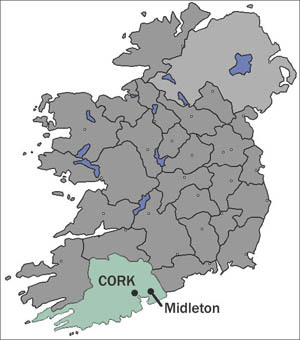 This year’s picnic takes place on Monday 3rd August and is in aid of MyPlace Midleton, a youth and community resource center in nearby Midleton. Somehow it seems appropriate to celebrate a gardener with a picnic in the grounds where his father and grandfather had worked. Let us hope the wet summer of 2015 relents for the occasion. Memorial to John Saul in the Castlemartyr Resort Hotel.